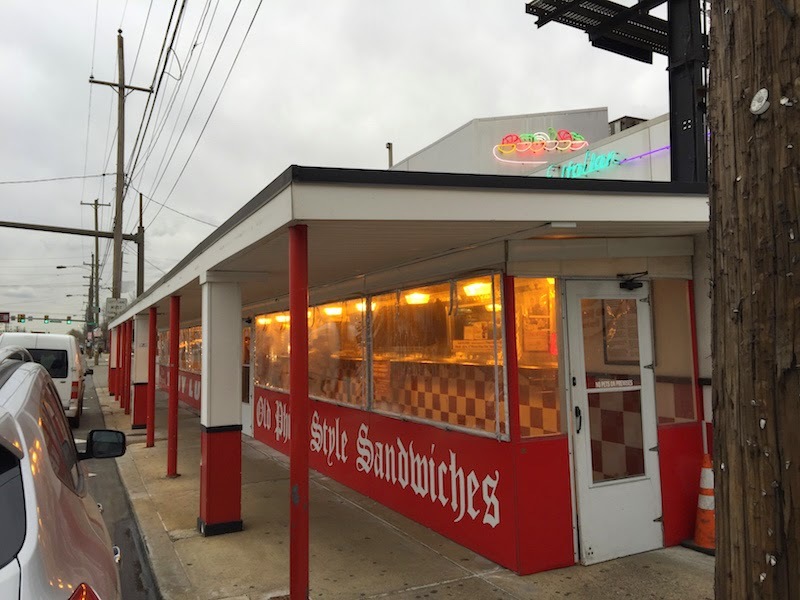 Tony Luke's has been seen on a lot of TV food shows, such as Man Vs. Food, Food Feuds, Food Wars, and Throwdown with Bobby Flay. 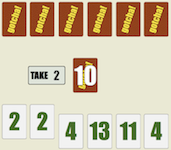 So I figured the sandwiches would be good, and they sure are! 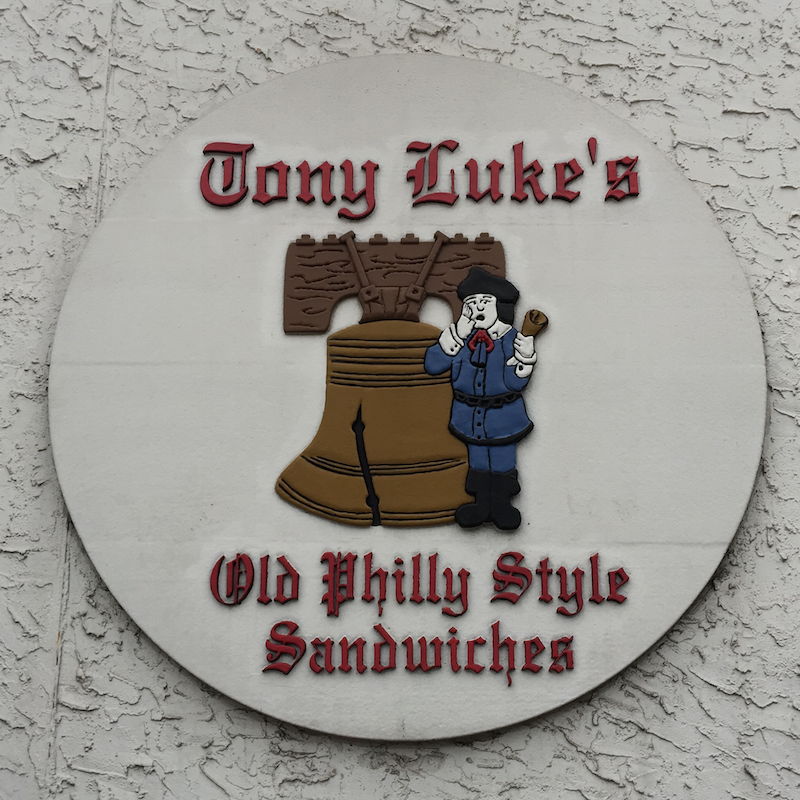 Read my full review of Tony Luke's Old Philly Style sandwiches in Philadelphia after the break. There's plenty of covered bench seating so no worries about arriving in the cold or rain. Parking was easy to find on the street. 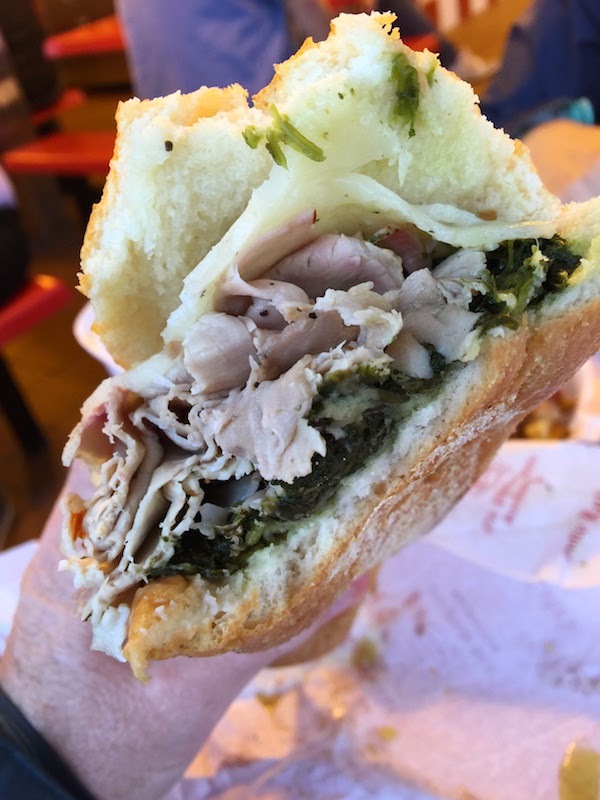 I got the Pork Italian, which is slices of the roast pork with spinach, and I chose sharp Provolone to top it off. The pork is sliced thin, and it's very juicy. It has black pepper and spices along the edges so it packs a little bit of heat. It's delicious. My daughter ordered the roast chicken sandwiches. A lot of chicken sandwiches are sort of dry, but not this one. It was every bit as juicy as the roast pork. As you can see from the pictures, these sandwiches are really big. 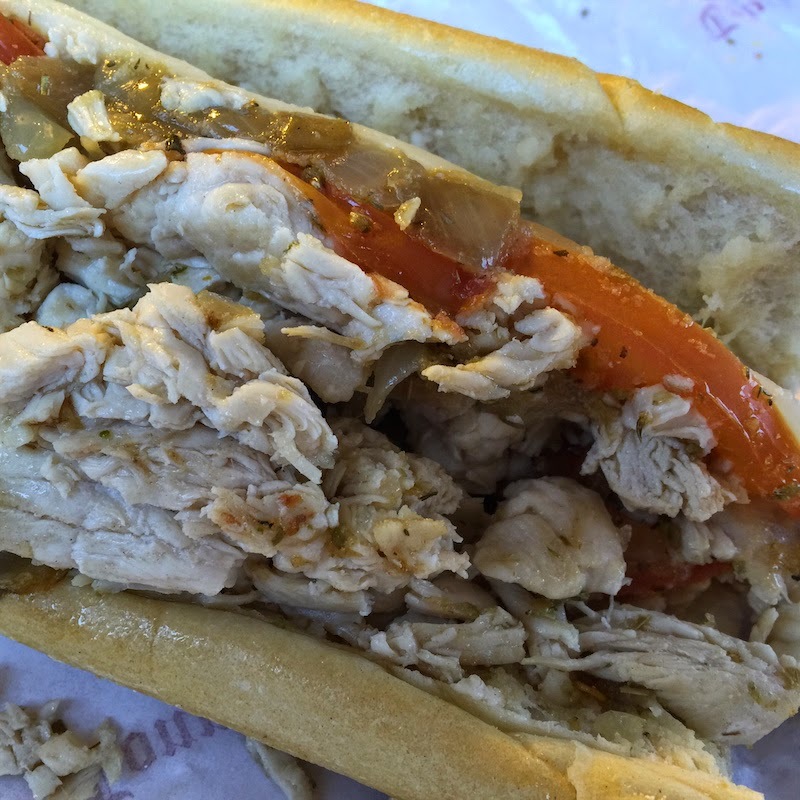 Definitely more meat than you get at Pat's or Geno's. 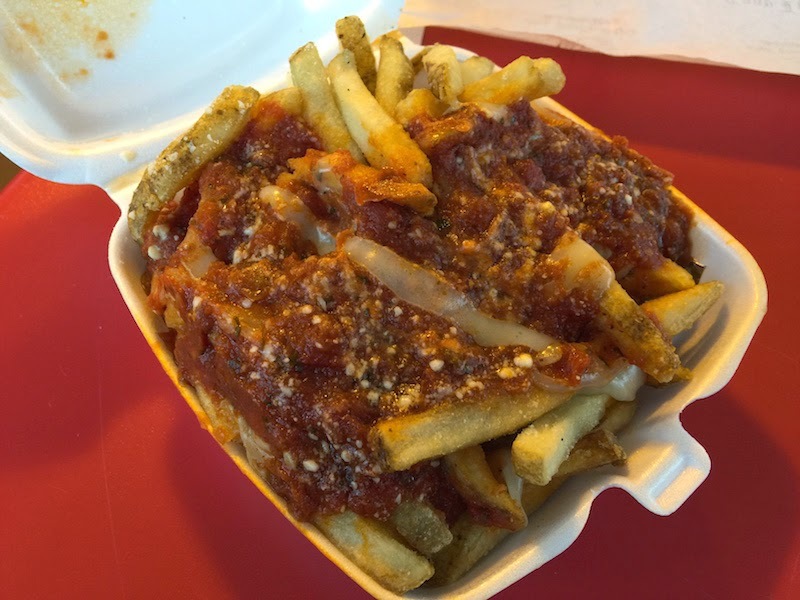 We had a side order of the pizza fries, which is marinara sauce and mozzarella cheese over fries. Like a pizza without the crust. These were really good. 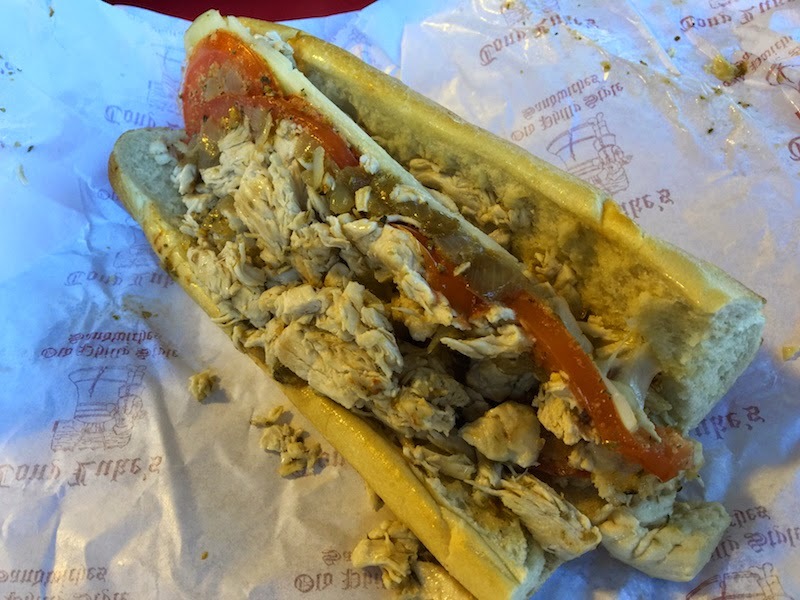 While we didn't order one, you can order a Philly cheesesteak at Tony Luke's if you want. In fact, the menu is pretty long so check it out on their web site (link below) for all the choices. 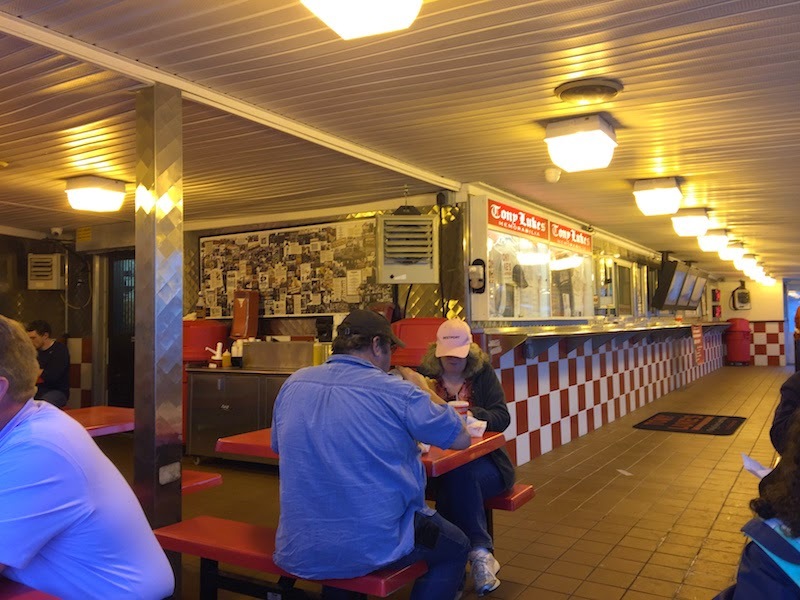 There's a reason Tony Luke's has been seen on so many TV food shows, so be sure to check it out when you are in Philly.